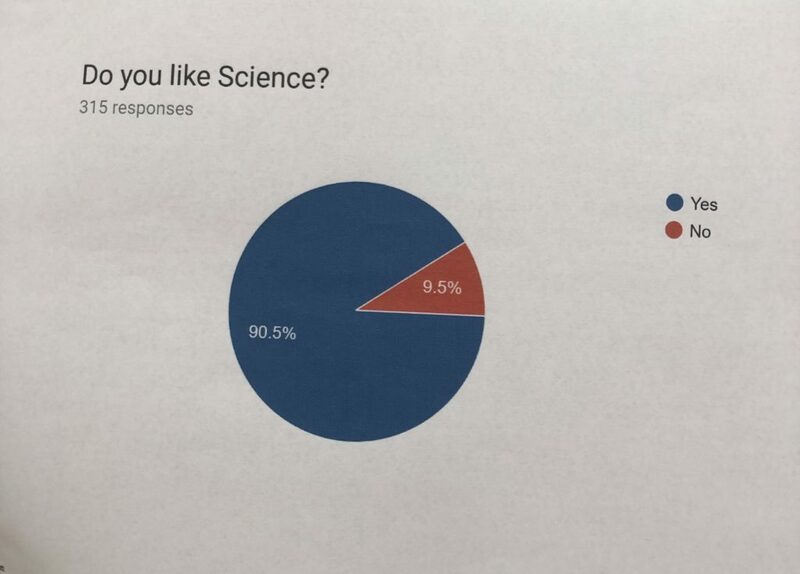 5th Whole School Science Survey: The Results Are In! You can see the results on display at our Science Fair on Friday 29th March in the school hall! 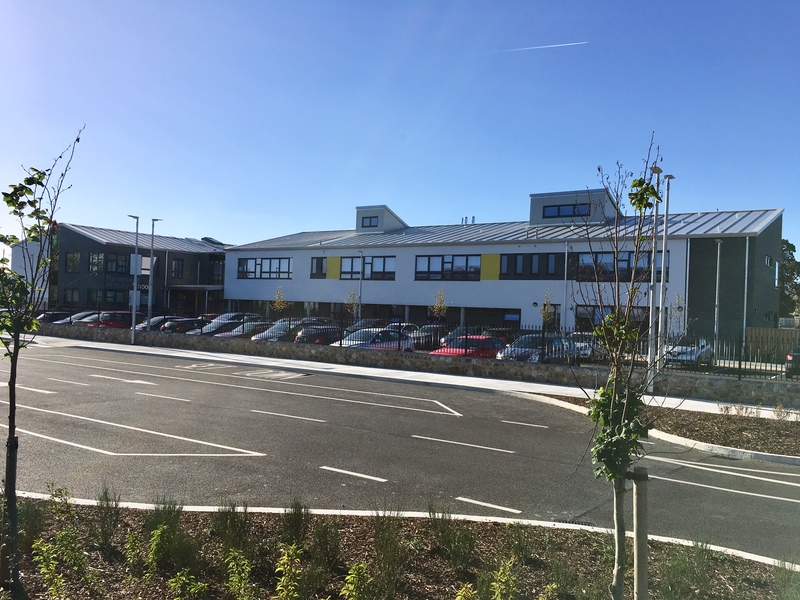 We are delighted to see that 90.5% of children in our school like science. 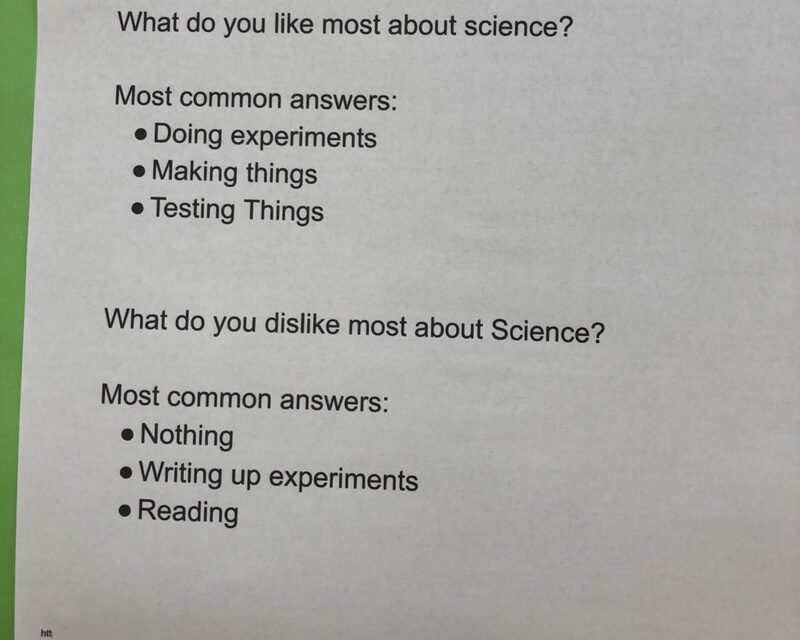 When the children were asked what they liked most and least about science we received many answers so we summarized and picked out the top 3 answers. 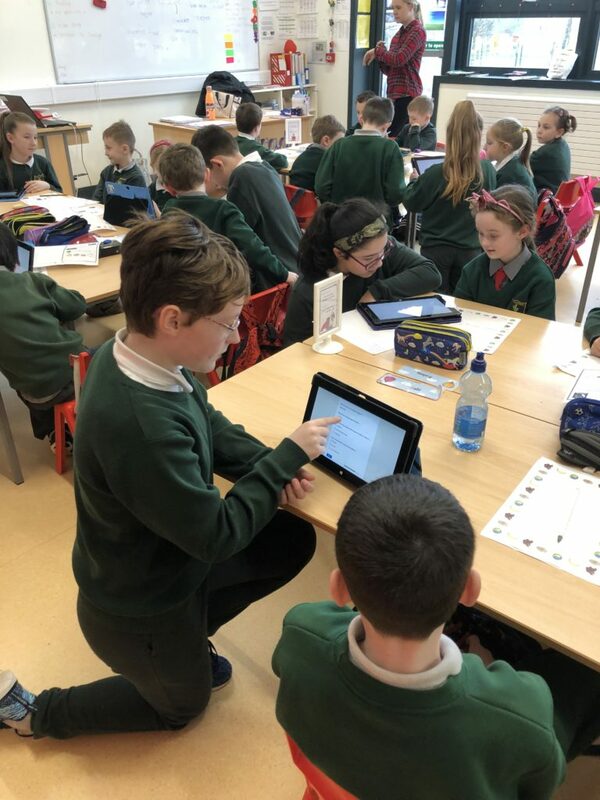 5th class were surprised, in a good way, about the results. 61% thought of both boys and girls equally. 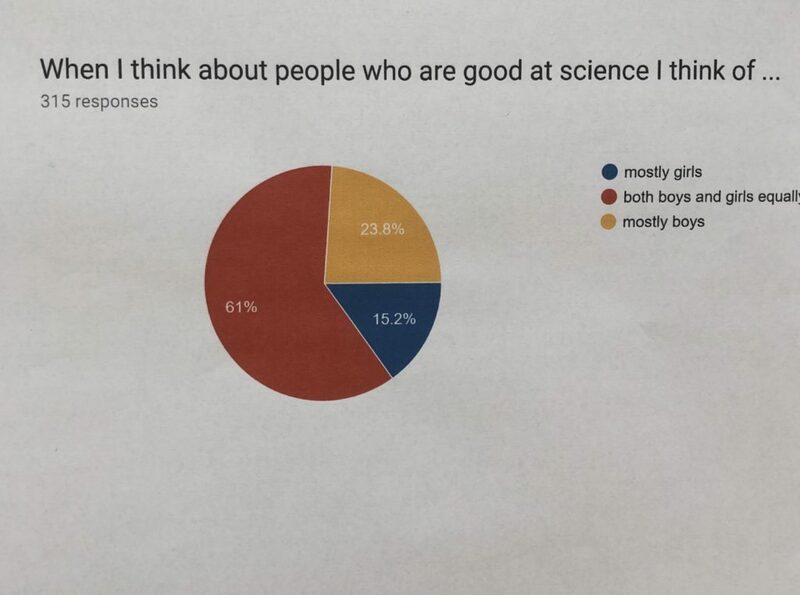 We predicted that the children would think of scientists as mostly boys – 23% of those surveyed thought this. 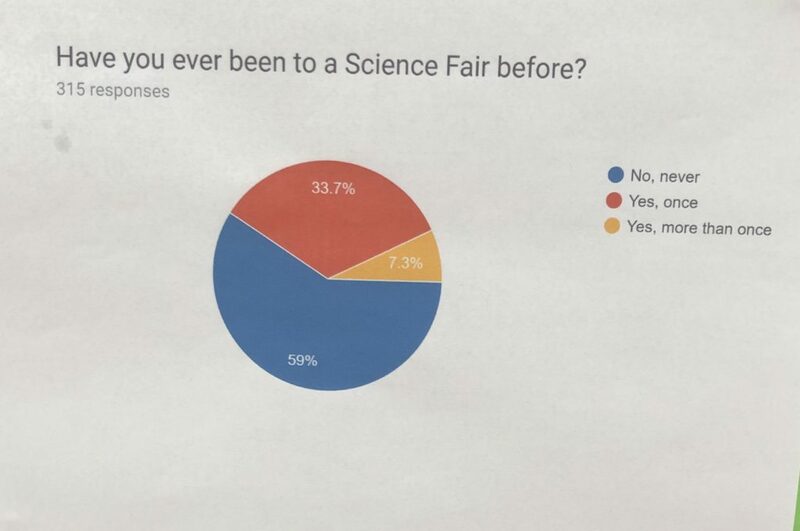 59% of the children in our school have never been to a science fair before! We are so happy that we can change this result after our Science Fair on the 29th! 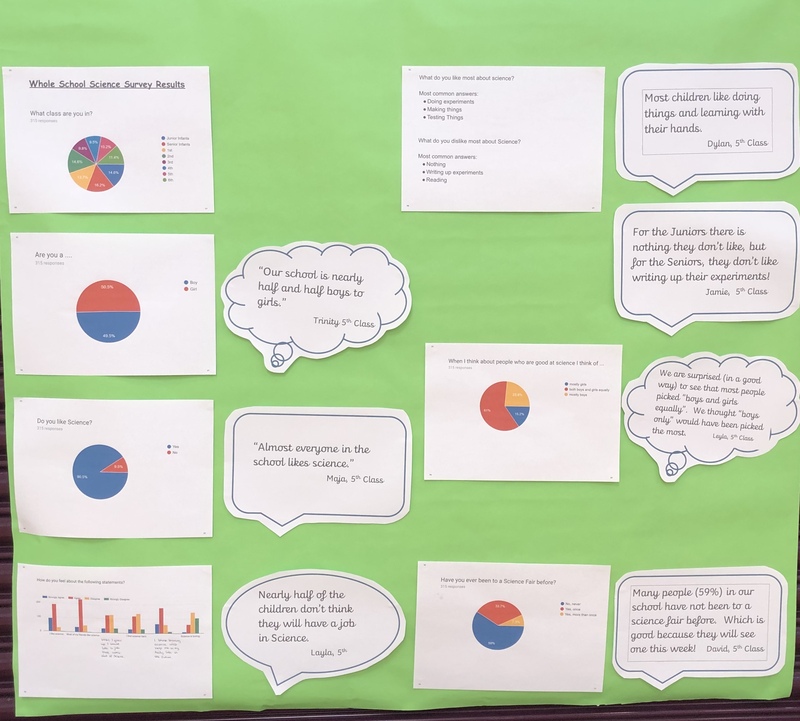 Conducting this survey has taught us many new STEM and Maths skills including learning how to use Google Forms and analyzing data and graphs. It’s been hard work but lots of fun.